The following terms of service (“Terms”) form a binding contract between you and Obie Tech, LLC, as well as its parents, subsidiaries, successors, affiliates, officers, directors, and employees (collectively, “Obie Tech”). These Terms govern your access to and use of any mobile and/or online applications, websites, services, products, and/or Software made available by Obie Tech that contain a link to these Terms (individually and collectively, the “Service”). Obie Tech reserves the sole right to update, edit, alter, or otherwise change these Terms at any time and for any reason in its sole discretion, including, without limitation, in order to comply with all applicable laws and regulations. Should Obie Tech make any material changes to these Terms, Obie Tech will provide reasonable notice of such changes, including, for example and without limitation, by posting notice of such changes on our web site(s) or in-service, or by sending notice by email to users of the Service. NO GUARANTEED ACCESS TO EMERGENCY SERVICES: There are important differences between the Service and mobile and fixed-line telephone and SMS services. The Service does not guarantee access to emergency services or emergency services providers, including the police, fire departments, or hospitals, or otherwise connect to public safety answering points. You should ensure you can contact your relevant emergency services providers through a mobile, fixed-line telephone, or other service. “Content” means any text, pictures, images, data, information, media, audio and video recordings, commentary, messages, information, comments, feedback, or other materials provided, posted, or otherwise transmitted to the Service, including, without limitation any of Our Materials as defined herein. “Our Materials” means any Content (excluding User Content) provided by Obie Tech and used in connection with, or generated by, the Service. “User” means any person that uses, accesses, interfaces with, or otherwise engages the Service or any part thereof. “User Content” means any and all Content posted, provided, transmitted, uploaded, submitted, shared, published, distributed, made available, accessible, or usable by any User via the Service. Our Materials are expressly excluded from User Content. Obie Tech reserves the sole right to change, update, add to, or discontinue the Service or any part, element, function, or offering thereof, and may expand, limit, or discontinue the availability of the Service to any User in its sole discretion. Users must be 13 years or older to access or use the Service in whole or in part. If any User is a minor according to the laws of the jurisdiction of such User’s residence, a parent or legal guardian must agree to these Terms on such User’s behalf and supervise such User’s access to and use of the Service. Individuals under the age of thirteen (13) and minors not supervised by a parent or legal guardian are not authorized to access or use the Service. You provide us the phone numbers of users of the Service as well as your other contacts in your mobile phone address book on a regular basis. You confirm you are authorized to provide us such numbers to allow us to provide our Service. The Service is accessible only on certain devices operating certain software. A data connection is required to use our Service. We do not supply any required devices, software (other than the Service), and/or data connection. For as long as you use our Service, you consent to downloading and installing updates to our Service, including automatically. You are responsible for all carrier data plan and other fees and taxes associated with your use of our Service. We may charge you for our Service, including applicable taxes. We may refuse or cancel orders. We do not provide refunds for our Service, except as required by law. License to Obie Tech of User Content. By posting, providing, uploading, submitting, sharing, publishing, distributing, making available, and/or allowing others to view, access, or otherwise use User Content via the Service, you hereby expressly grant to Obie Tech and its affiliates a world-wide, royalty-free, perpetual, non-exclusive, transferable, and fully sub-licensable (through multiple tiers) right and license (but not the obligation) to reproduce, distribute, redistribute, modify, translate, adapt, prepare derivative works of, display, perform, and otherwise use all or part of your User Content, by any and all means and through any media and formats now known or hereafter discovered, solely in connection with the Service and/or Obie Tech’s business activities (including, without limitation, promoting and marketing the Service) and/or to comply with any technical, legal, or regulatory requirements. You hereby waive and agree not to assert any and all rights that you may have under the laws of any jurisdiction in the nature of “moral rights” or “droit moral,” or similar rights, in connection with any User Content. Posting Your Content. You are solely responsible and liable for the consequences of posting, providing, uploading, submitting, sharing, publishing, distributing, making available, or otherwise allowing others to view, access, and/or use any User Content via the Service, and you acknowledge and agree that any User Content can and may be viewed worldwide. If you choose to make your personal information publicly available via the Service (including, without limitation, by providing such information in a public forum or blog posting), you do so at your own risk. You covenant, represent and warrant that you have obtained all necessary licenses, rights, consents, permissions, and waivers to use and grant all of the rights granted to Obie Tech in and to any User Content. Third Party Use of User Content. If your User Content is published, shared, posted, or otherwise made available for others to use, view, or access through the Service, you grant to each other User of the Service the non-exclusive, worldwide, royalty-free right and perpetual license to access your User Content through the Service and to copy, display, share, distribute, rate, comment on, perform, use, and create derivative works based on your User Content, subject to these Terms. Limitations. Notwithstanding anything to the contrary, (1) you are expressly prohibited from using, selling, licensing or sublicensing, publishing or republishing, distributing, redistributing, exploiting, or otherwise making available any of Our Materials; and (2) you must not remove any link or copyright, trademark, or other proprietary notice from Our Materials. No Rights in Our Materials; No Joint Works. Nothing in these Terms should be construed to give you or anyone else any right, title, or interest in any of Our Materials and, except as expressly set forth herein, any and all rights and licenses not expressly granted to you by these Terms are hereby expressly reserved to Obie Tech. These Terms are not intended to and do not operate to merge any of Our Materials and your User Content into inseparable or interdependent parts of a unitary whole, and no joint works are to be created or shall be deemed to have been created hereunder. Feedback. You grant to Obie Tech a royalty-free, worldwide, irrevocable, perpetual license to use, publish, edit, translate, distribute, display, and/or incorporate any ratings, comments, suggestions, feedback, improvement requests, or other recommendations you provide relating to the Service and/or any Content (“Feedback”). Obie Tech has no obligation (1) to maintain any Feedback in confidence; (2) to pay any compensation for any Feedback; or (3) to respond to any user Feedback. You grant Obie Tech the right to publish any Feedback in connection with the name submitted in connection with any Feedback. Obie Tech maintains the right (but not the obligation) to pre-screen or monitor any User Content or any User’s access to or use of the Service, and to remove or block access to any User Content for any reason, and/or to suspend or terminate any User’s access to or use of the Service for any reason pursuant to these Terms. We have no responsibility or liability with respect to any User Content, including for any actions that we may take with respect to any User Content that we determine violates these Terms. IN order to register for our Service, you must provide accurate data, including a current mobile phone number. You agree to receive text messages and phone calls (from us or our third-party providers) with codes to register for our Service. If you change your phone number, access your User account using your existing credentials, and then confirm that your new phone number corresponds to your User account. You are fully responsible for all interaction with the Service that occurs in connection with your registration information (including, without limitation, any purchases made using such account). You agree to immediately notify us of any unauthorized use of your registration information or any other breach of security related to your account or the Service. We are not liable for any losses or damages arising from your failure to comply with any of the foregoing obligations. Content. The Service might display, contain, link to, or make available Content from a variety of sources (including other Users and other third parties) including images, posts, creations, opinions, recommendations, or advice. All such Content, including all User Content, is the property of its creators, copyright owners, and/or other rightsholders. Except as expressly provided in these Terms, use of the Service does not grant, waive, or limit any ownership rights of such creators, owners, and/or other rightsholders. Obie Tech does not endorse recommend, or otherwise promote any third party Content, including, without limitation, all User Content. Obie Tech is not responsible for, and bears no liability stemming from any claims, demands, damages, or causes of action arising from the posting or distribution of such Content, including, without limitation, all User Content. Interactions with Other Users. The Service may provide you the ability to interact with other Users or groups of Users of the Service. Obie Tech is not responsible for, and bears no liability stemming from any claims, demands, damages, or causes of action arising from interactions between Users of the Service. Links and Advertisers. The Service may provide links to and from online, mobile, and other platform sites and services, including, without limitation, third party advertisers and providers that are not associated with Obie Tech and are not under Obie Tech’s control (“Third Party Providers”). Obie Tech is not responsible for any acts, omissions, products, services, or terms of such Third Party Providers, including, without limitation, any Content accessible by and any offers directed to Users of the Service. The use of and/or any engagement with such Third Party Providers is at your own risk, and is subject to any terms and conditions imposed by such Third Party Providers. 7. Purchasing Credits and Virtual Goods. The Service may permit Users to purchase virtual credits (“Credits”), which may be redeemed for the purchase of and access to certain virtual items available in and aspects of the Service, including, by way of example, and without limitation, icons, emojis, games, and other virtual goods (“Virtual Goods”), which Obie Tech may license for use in connection with the Service. Users are permitted to transfer Credits and Virtual Goods to other Users for use solely in connection with the Service. Credits are purchased using genuine, “real world” currency. Any and all Virtual Goods are licensed to Users by Obie Tech on a revocable basis and limited only for non-commercial use. Any payment for Credits and/or Virtual Goods is final, and non-refundable. Obie Tech may manage, control, regulate, modify, or eliminate Virtual Goods at any time, with or without notice, and without any limitation to any User in the event of the exercise of such rights. Subject to mandatory legislation, you acknowledge that Obie Tech is not required to provide a refund for Virtual Goods for any reason, and that you will not receive money or other compensation for unused Virtual Goods, without regard to the loss of your license and/or access to such Virtual Goods. 8. Buying and Selling Products or Services. Placing an Order. By placing an order through the Service, you represent that you are authorized to purchase the products and services ordered, and that such products and services will be used only in a lawful manner. Additional terms and conditions may apply to purchases of products or services and to specific portions or features of the Service, including any Third Party Providers’ terms of sale. E-Commerce Providers. If you wish to make a purchase via the Service, the Service may link or direct you to a third party e-commerce service, vendor, payment processor, or web store (collectively, “E-Commerce Providers”). Such E-Commerce Provider will be the seller or merchant of record and either it or another third party with whom it contracts will be responsible for taking, fulfilling, and/or shipping your orders. Your interactions and transactions with each E-Commerce Provider are governed by the terms and conditions imposed by such E-Commerce Providers. Obie Tech is not responsible for any acts, omissions, products, services, or terms of any E-Commerce Provider and shall bear no liability related to any claim, cause of action, damages, or dispute between you and any E-Commerce Provider. Display of Products through the Service. Obie Tech does not guarantee the accuracy of any descriptions, images, or videos of, and/or references to any product or service appearing on or made available through the Service. Obie Tech is not responsible or liable for any such inaccuracies. The inclusion or appearance of any products or services on the Service at a particular time does not imply or warrant that these products or services are or will be available. Descriptions, images, references, features, Content, specifications, and prices of any products or services on the Service or obtained through the Service are subject to change with or without notice. Consents. You consent to the collection, use, processing, and storage of your Personal Information. You acknowledge and agree that you are responsible for obtaining all necessary consents, and for complying with all applicable laws (including privacy and data protection laws), related to Personal Information provided to us in connection with your use of the Service. Sensitive Personal Information. You acknowledge that any data storage functionality of the Service is not intended for the storage of Social Security numbers, credit or debit card numbers, financial account numbers, driver’s license numbers, medical information, health insurance information, sensitive data concerning personal characteristics, attributes, and information (collectively, “Sensitive Personal Information”). You agree not to upload or otherwise submit any Sensitive Personal Information to Obie Tech in connection with the Service. You agree that Obie Tech bears no responsibility for or liability with respect to any such Sensitive Personal Information that you submit to Obie Tech and which is processed, transmitted, disclosed, or stored by Obie Tech in connection with the Service. 10. Storage Practices and Limits. Obie Tech bears no responsibility for or liability with respect to the deletion, failure to store, or security of any User Content. Obie Tech reserves the right to mark or treat as “inactive” and archive accounts and/or User Content that are inactive for a prolonged period of time as solely determined by Obie Tech. Obie Tech reserves the right to change its practices and storage rules at any time in its sole discretion with or without notice to you. Obie Tech may offer Users the opportunity to participate in sweepstakes, contests, promotions or similar opportunities (collectively, “Promotions”). By participating in any Promotion, you will become subject to specific rules governing such Promotion. To the extent that the rules of a particular Promotion conflict with these Terms, the terms and conditions set forth in connection with such Promotion will control. Obie Tech owns all right, title, and interest (including, without limitation, all patents, copyrights, trademarks, trade dress, trade secrets, and all other intellectual property rights) in and to the Service and end-user documentation for the Service made available to you by Obie Tech, and any Content (excluding User Content) provided by Obie Tech and used in connection with, or generated by, the Service (collectively “Our Materials”). You agree not to take any action to jeopardize, encumber, limit, or interfere in any manner with Obie Tech’s ownership and rights with respect to Our Materials. In making the Service accessible to Users, Obie Tech expressly disclaims the grant, conveyance, or transfer of any interest in and to Our Materials by virtue of such access. 13. Right to Access or Use the Service. You will, at your sole expense and to the fullest extent permitted by law, indemnify, defend, and hold Obie Tech harmless against any and all losses, liabilities, and expenses (including reasonable attorneys’ fees) suffered or incurred by Obie Tech by reason of any claim, suit, allegation, proceeding, or cause of action (“Claim”) arising out of or in connection with: (1) any User Content posted, provided, transmitted, uploaded, submitted, shared, published, distributed, made available, accessible, or usable by you, including, without limitation, any Claim that your User Content or the use thereof may infringe any party’s copyright, trademark, or other intellectual property rights; misappropriate or violate any individual or entity’s trade secret or other rights, or contain any libelous, defamatory, disparaging, pornographic, or obscene materials; or that the use thereof caused death or bodily injury or damage to the real or tangible property of any third party; (2) any breach of or failure by you to comply with these Terms or any Policies; or (3) use of the Service by you (or anyone who accesses the Service through you). In the event that you are responsible for defending Obie Tech against any claim, Obie Tech shall have the right to participate in the defense of such Claim with the counsel of Obie Tech’s choosing, and Obie Tech shall maintain the sole right and authority to agree to settle any Claims. By accessing or using the Service in whole or in part you represent and warrant that you are at least the legal age of consent in the jurisdiction where you reside or, if you are not, that you are 13 years old or older and that your parent or legal guardian has agreed to these Terms on your behalf and will supervise your access to and your use of the Service. You also warrant, represent, and agree that: (1) you have the requisite rights to create, develop, submit, and use any User Content posted by you in connection with the Service; (2) any User Content posted by you does not infringe or misappropriate any intellectual property or proprietary right of any third party or violate any applicable laws, rules, regulations, or court order; (3) your User Content is not subject to any restriction against its disclosure, transfer, download, export, or re-export under any applicable law, rule, regulation, or court order; and (4) any Personal Information that you provide in connection with your registration for or use of the Service is and will remain true, accurate, and complete, and that you will maintain and update such Personal Information regularly. Copyright: To report suspected copyright infringement and to request that Obie Tech remove any infringing Content appearing on or hosted by the Service, please email a completed copyright infringement claim to EMAIL ADDRESS, including all of the information requested below. Trademark. To report suspected trademark infringement and to request that Obie Tech remove any infringing Content hosted by or appearing on the Service, please email a complete trademark infringement claim to EMAIL ADDRESS, including all of the information requested below. Your complete contact information (full name, mailing address, and phone number). Please be aware that we provide to the User whose Content is the subject of a claim of infringement the identity and contact information of the owner of the asserted rights, as well as the specifics of the claim of infringement. Claimants (or their representatives) may wish to provide a professional or business email address where they may be reached. A description of the copyrighted work or trademark claimed to have been infringed. A description of the allegedly infringing Content appearing and/or hosted on our Service. Information reasonably sufficient to permit us to locate the allegedly infringing Content on our Service. Repeat Infringers. Obie Tech may, at its sole discretion, terminate any User that repeatedly infringes the intellectual property rights of others. Warranty Disclaimer. THE SERVICE AND THE EXERCISE OF OUR RIGHTS ARE PROVIDED “AS IS” AND “AS AVAILABLE.” OBIE TECH DOES NOT MAKE AND EXPRESSLY DISCLAIMS ALL REPRESENTATIONS, WARRANTIES, OR CONDITIONS OF ANY KIND, WHETHER EXPRESS OR IMPLIED (EITHER IN FACT OR BY OPERATION OF LAW) WITH RESPECT TO THE SERVICE, THE EXERCISE OF ANY OR ALL OF OUR RIGHTS AND ANY THIRD PARTY PRODUCTS, SERVICES OR CONTENT ON OR AVAILABLE THROUGH THE SERVICE, INCLUDING, WITHOUT LIMITATION, ALL WARRANTIES OR CONDITIONS OF MERCHANTABILITY, FITNESS FOR A PARTICULAR PURPOSE, TITLE, AND NONINFRINGEMENT, AND ALL WARRANTIES THAT MAY ARISE IN THE COURSE OF DEALING, COURSE OF PERFORMANCE, OR USAGE OF TRADE. YOUR USE OF THE SERVICE (IN WHOLE OR IN PART) AND/OR ANY CONTENT IS AT YOUR OWN DISCRETION AND RISK. OBIE TECH DOES NOT WARRANT THAT ANY USE OF OR ACCESS TO THE SERVICE OR ANY CONTENT WILL BE ERROR-FREE, COMPLETE, SECURE, OR THAT SUCH CONTENT WILL NOT BE OTHERWISE LOST OR DAMAGED OR MEET YOUR REQUIREMENTS OR EXPECTATIONS; THAT OPERATION OR AVAILABILITY WILL BE UNINTERRUPTED; OR THAT ERRORS OR FAILURES WILL BE CORRECTED OR REMEDIED. OBIE TECH DOES NOT WARRANT THAT THE SERVICE OR ANY CONTENT WILL PERFORM IN ANY PARTICULAR MANNER. WITHOUT LIMITATION OF THE GENERALITY OF THE FOREGOING, YOU ACKNOWLEDGE AND AGREE THAT YOU ARE SOLELY RESPONSIBLE FOR (AND OUR PARTIES ASSUME NO RESPONSIBILITY AND WILL HAVE NO LIABILITY OF ANY KIND FOR) (1) THE DECISIONS THAT YOU MAY MAKE REGARDING THE SERVICE; (2) USE OF THE SERVICE OR CONTENT INCLUDING WITHOUT LIMITATION ANY CONTENT TRANSLATION, DATA, INFORMATION, OR OTHER MATERIAL ACCESSED BY YOU IN CONNECTION WITH THE SERVICE OR THROUGH YOUR ACCOUNT, COMPUTER SYSTEM, OR MOBILE DEVICE, OR ANY LOSS OF DATA; OR (3) ANY LOSS, DAMAGE OR OTHER EFFECTS ON YOU THAT MAY RESULT FROM USE OF THE SERVICE OR ANY CONTENT OR THE FAILURE TO COMPLY WITH THESE TERMS. OUR PARTIES MAKE NO WARRANTIES TO ANY THIRD PARTY. WE MAKE NO WARRANTIES OR REPRESENTATIONS THAT THE SERVICE, OR ANY PART) THEREOF, OR THAT ANY CONTENT IS ACCURATE OR COMPLETE OR IS APPROPRIATE OR AVAILABLE FOR USE IN ANY PARTICULAR JURISDICTION. IN CHOOSING TO ACCESS THE SERVICE OR ANY CONTENT YOU ARE RESPONSIBLE FOR COMPLYING WITH ALL APPLICABLE LAWS, RULES, AND REGULATIONS, INCLUDING ALL FEDERAL, STATE, AND LOCAL LAWS, RULES, AND REGULATIONS REGARDING ONLINE CONDUCT AND ACCEPTABLE CONTENT. This Section is enforceable to the maximum extent allowed by applicable law. No information or advice (whether written, oral, or otherwise) provided by Obie Tech or its representatives will create any warranty or in any way affect the disclaimers of warranty or limitations of liability expressly provided in these Terms. Products and Services. YOU ARE SOLELY RESPONSIBLE FOR DETERMINING THE SUITABILITY OF ANY PRODUCTS, SERVICES, MATERIALS, OR PROCESSES MADE AVAILABLE TO YOU BY OR THROUGH THE SERVICE. WITHOUT LIMITATION, OBIE TECH FURTHER DISCLAIMS ANY AND ALL WARRANTIES AS TO ANY AND ALL PRODUCTS OR SERVICES MADE AVAILABLE VIA THE SERVICE. TO THE MAXIMUM EXTENT ALLOWED BY APPLICABLE LAW AND NOTWITHSTANDING ANY FAILURE OF ESSENTIAL PURPOSE OF ANY LIMITED REMEDY OR LIMITATION OF LIABILITY, (1) IN NO EVENT WILL OBIE TECH BE LIABLE HEREUNDER FOR ANY SPECIAL, INDIRECT, CONSEQUENTIAL, OR OTHER DAMAGES OF LIKE KIND WHATSOEVER (HOWEVER CAUSED AND INCLUDING, WITHOUT LIMITATION LOSS OF PROFITS, LOSS OF REVENUE, LOSS OF USE, LOSS OF DATA, BUSINESS INTERRUPTION, COST OF PROCUREMENT OF SUBSTITUTE GOODS OR SERVICES OR OTHER COVER, OR ANY OTHER SIMILAR COMMERCIAL OR ECONOMIC LOSS OF ANY KIND, EVEN IF ADVISED OF THE POSSIBILITY THEREOF, REGARDLESS OF THE THEORY OF LIABILITY, WHETHER DERIVED FROM CONTRACT OR TORT, INCLUDING NEGLIGENCE), NOR WILL OBIE TECH BE LIABLE FOR ANY DAMAGES WHATSOEVER RESULTING FROM FORCE MAJEURE OR OF ANY THIRD PARTY’S ACTS OR OMISSIONS; AND (2) OBIE TECH’S TOTAL CUMULATIVE COLLECTIVE LIABILITY FOR ALL COSTS, LOSSES, OR DAMAGES FROM ALL CLAIMS, ACTIONS, DEMANDS, ALLEGATIONS, OR SUITS ARISING IN RELATION TO THE SERVICE WILL NOT EXCEED THE GREATER OF (1) ONE HUNDRED DOLLARS ($100); OR (2) ALL AMOUNTS PAID OR DUE FROM YOU, IF ANY, FOR ACCESS TO OR USE OF THE SERVICE GIVING RISE TO THE CLAIM DURING THE SIX (6) MONTHS IMMEDIATELY PRECEDING THE CLAIM (NO MATTER WHEN SUCH PAYMENTS WERE ACTUALLY MADE). 19. Term, Termination, and Suspension. These Terms will become effective on the date you first access or use the Service (“Effective Date”), and extend from the Effective Date until the earliest of: (1) our termination of your rights hereunder; (2) our discontinuation of the Service; or (3) the date you cease to use the Service by uninstalling all Software and discontinuing all use of the Service. Without limiting any part of the foregoing, if you acquire a membership or subscription to the Service, your access to any portion of the Service limited to members or subscribers will terminate when your membership or subscription terminates or expires. Obie Tech reserves the right to terminate or suspend your access to the Service in whole or in part, suspend or cancel your account (if applicable), and/or delete or remove any User Content posted by you in our sole discretion and without any obligation to provide notice to you for any reason, including, without limitation, for breach of these Terms. Further, you agree that Obie Tech will not be liable to you or to any third party for any termination of your membership, subscription, or access to the Service, and/or the deletion of Your Content. Upon termination of these Terms for any reason, you must immediately cease accessing and using the Service. Termination of these Terms as to you shall have no effect on these Terms, which shall survive such termination and will continue in full force and effect until and unless modified by Obie Tech. Upon termination of these Terms as to you Obie Tech may immediately deactivate any membership or subscription account(s) and suspend access to your Content and, may delete, without notice, any User Content posted by you, if any, and all backups thereof. It is your responsibility to retain copies of any User Content generated by you. Obie Tech will not be liable for any loss or damage that may be incurred by you or any third parties as a result of such deletion. Any fees paid by you in connection with any membership or subscription accounts that are terminated under this provision will not be refunded unless otherwise provided in the Special Service Terms for the Service. Notwithstanding anything to the contrary, no expiration or termination of this agreement will terminate or affect any licenses or sublicenses granted by you in accordance with these Terms prior to such termination, including, without limitation to other users of the Service. Governing Law and Jurisdiction. These Terms will be governed by and construed in accordance with the laws of the State of New York and of the United States without reference to the conflicts-of-laws rules thereof. The UN Convention on Contracts for the International Sale of Goods and the Uniform Computer Information Transaction Act will not apply to (and are excluded from the laws governing) these Terms. In addition, you agree that any claim, action or dispute arising under or relating to these Terms will be brought exclusively in (and the parties will be subject to the exclusive jurisdiction of) the Courts of the State of New York located in the city, county, and state of New York, or in the United States District Court for the Southern District of New York located in the city, county, and state of New York. Nothing in the foregoing will prevent Obie Tech from bringing an action for infringement of intellectual property rights in any country where such infringement is alleged to occur. Export Control. You acknowledge and agree that your use of the Service is subject to compliance with all applicable country export control and trade sanctions laws, rules, and regulations, including, without limitation, all regulations promulgated by the U.S. Department of Commerce and the U.S. Department of the Treasury (“Export Control Laws”). You are solely responsible for complying with such Export Control Laws and monitoring any modifications to them. You represent and warrant that (1) you are not a citizen of, or located within, a nation that is subject to U.S. trade sanctions or other significant trade restrictions (including, without limitation, Cuba, Iran, Sudan, Syria, and North Korea); (2) you are not identified on any U.S. government restricted party lists (including, without limitation, the U.S. Treasury Department’s List of Specially Designated Nationals and Other Blocked Persons, the U.S. Department of Commerce’s Denied Party List, Entity List, and Unverified List and the U.S. Department of State’s proliferation-related lists); (3) you will not, unless otherwise authorized under the Export Control Laws, use the Service for any restricted end use, including, without limitation, design, analysis, simulation, estimation, testing, or other activities related to weapons including but not limited to nuclear, chemical, or biological weapons, rocket systems, or unmanned air vehicles; and (4) that no part of any User Content posted by you is subject to any restriction on disclosure, transfer, download, export, or re-export under the Export Control Laws. You agree that you will not use the Service to disclose, transfer, download, export, or re-export, directly or indirectly, any User Content or any other content or material to any country, entity, or other party which is ineligible to receive such items under the Export Control Laws or under other laws or regulations to which you may be subject. Filtering. Pursuant to 47 U.S.C. § 230(d), we hereby notify you that parental control protection (such as computer hardware, software, or filtering services) are commercially available that may assist you in limiting access to material that is harmful to minors. Information identifying current providers of such protections is available on GetNetWise (http://kids.getnetwise.org/) and OnGuard Online (http://onguardonline.gov/). 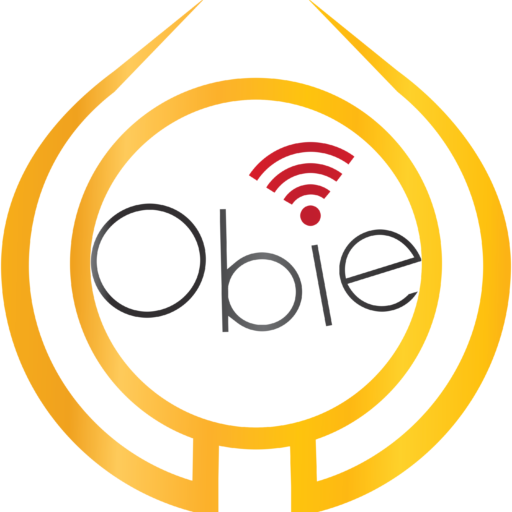 Obie Tech disclaims any warranty concerning and does not endorse any parental control protection services. General. Nothing in these Terms constitutes, creates, or may be construed as evidence of intent to establish any association, partnership, joint venture, or other relationship between Obie Tech and any other party. Each party will be responsible for covering their respective costs and expenses in performing their duties under these Terms, unless expressly provided otherwise herein. If for any reason a court of competent jurisdiction finds any provision of these Terms, or any portion thereof, to be unenforceable, that provision will be enforced to the maximum extent permissible so as to give effect to the intent of these Terms, and the remainder of these Terms will continue in full force and effect. The section headings used in these Terms are for convenience only and have no substantive effect. The English language version of these Terms is legally binding in case of any inconsistencies between the English version and any translations. Except as expressly provided herein, a party may only waive its rights under these Terms by a written document executed by both parties. Any failure to enforce any provision of these Terms will not constitute a waiver thereof or of any other provision hereof. You may not assign or delegate these Terms or any of your rights or obligations hereunder. Any unauthorized assignment will be null and void. You acknowledge and agree that we may assign or sub-contract any of its rights or obligations under these Terms. Changes or Updates to these Terms. If you don’t agree with any material changes or updates we make to these Terms, you must notify us of that fact by sending an email to us at EMAIL ADDRESS within thirty (30) days after the effective date of the change (“Effective Date”). Notifying us in this way will terminate the updated terms and conditions as to your use of the Service and the terms and conditions that apply to you will be the terms and conditions in effect immediately before the change (unless the change made was made to comply with applicable law) and those terms and conditions will be in effect until (1) the end of the then-current term identified in your membership or subscription, or (2) thirty (30) days after the Effective Date, whichever is earlier (the “End Date”). The End Date will be the end of the term of your Service including the termination of any membership or subscription rights. Unless you notify us within 30 days as set forth above, your continued use of the Service after the Effective Date will be deemed an acceptance of these changes and a renewal and extension of the Terms in effect at the Effective Date. Notwithstanding the foregoing, any changes to these Terms will not apply to any dispute between you and us arising prior to the date on which we posted the revised version of these Terms incorporating such changes or otherwise notified you of such changes.